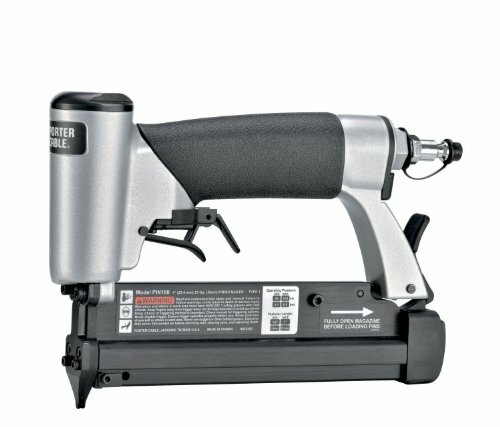 Arrow PT23G Pneumatic Pin Nailer is great for many trim jobs and hobby work. It's constructed of die-cast aluminum for a durable and lightweight tool and features a quick load magazine for easy reloading. Adjustable high/low power control sets pin depth without changing compressor setting. Low profile nosepiece tapers down to contact point. Lightweight, durable aluminum housing. Overmoulded grip. Rear exhaust. Specs: weight: 2.5 lbs. ; driving power: 60 inch lbs. ; operating pressure: 70-120 PSI; thread fitting Type 1/4" NPT; magazine capacity: 200 pins. Fastener specifications: 1/2" to 1 3/16" 23GA headless pin nails. 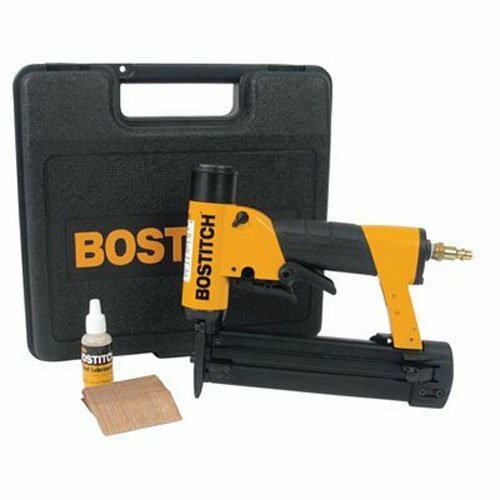 Includes: pin nailer; 1/4" air fitting; (500 each): 1/2" pins, 3/4" pins, 1" pins, & case. 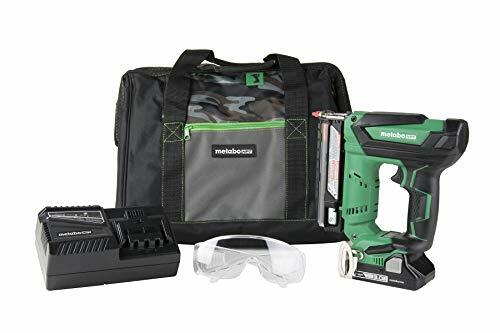 The kit includes the pin nailer, tool lubricant, and a set of 23-gauge pin nails, all transportable in an exclusive Bostitch carrying case. View larger . The over-molded comfort grip is designed for easy, no-slip maneuvering. View larger . 1. Depress the spring loaded lever as shown bewlow in loading instructions Fig.1. 3. Load the stick of pins as shown bewlow in loading instructions Fig.3 with the arrow pattern pointing down as shown. If pins have black dots instead of arrows, the dots should be positioned up. 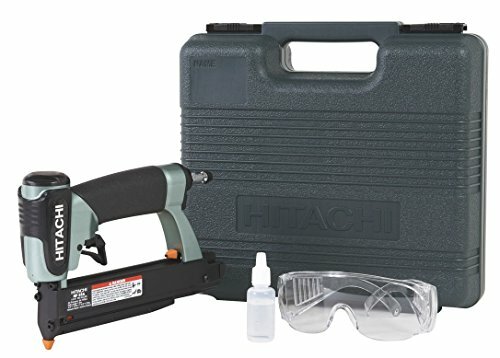 HP118K 23-Gauge Pin Nailer; 1/4-inch air fitting; 500 each of 1/2-inch pins, 3/4-inch pins, and 1-inch pins; tool lubricant; and carrying case. Description 23 ga. 1/2" Headless Pin Nails - 3,000 ct.
23 ga. 3/4" Headless Pin Nails - 3,000 ct.
23 ga. 1" Headless Pin Nails - 3,000 ct.
23 ga. 1-3/16" Headless Pin Nails - 3,000 ct. The Freeman 1 23ga. Pinner takes care of all of your finishing projects, such as molding, crafts, hobbies. It has a lightweight aluminum design and a tool-free adjustable exhaust that conveniently directs exhaust away from your face Perfect for those smaller projects. The lightweight ergonomic design provides a good feel for the perfect balance during operation. Features: 360-degree Adjustable Exhaust, Anodized Aluminum Cylinder, Teflon Oil-less O-Rings, Anodized Aluminum Rail, Air Filter / Dust Cap, Reversible Belt Hook, One Piece Drive Blade, with Oil, Goggles, & Wrenches Included. This tool is manufactured under the strict guidelines for quality control. Each gun is tested before it is approved for shipping. Freeman Pneumatic line of nailers was developed with the professional in mind. Our company has worked diligently to develop a product that could meet the demands of the Professional customer and still hold true to the value associated with our product and its price point. 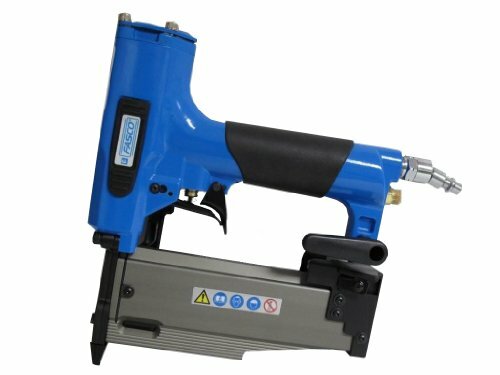 Freeman guns are sold, distributed, serviced, and warranted by a US company, Prime Global Products, Inc. PGP is proud to offer our nailers to the professional and Do-it Yourselfers alike. Freeman nail guns are backed by our 7 Year Limited Warranty. If your Freeman tool ever needs service, please read our warranty policy for complete details. 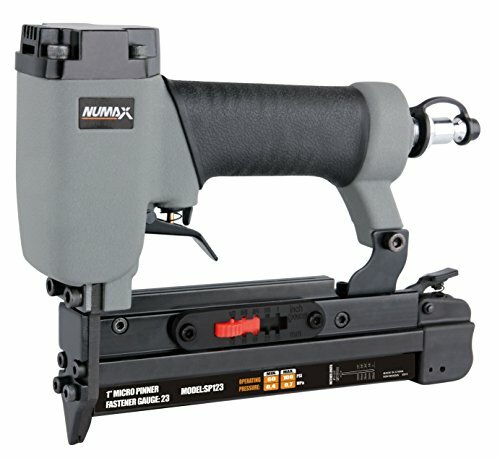 Please contact use with any question regarding your Freeman Nailer at: www.freemantools.com or by calling 888-669-5672. 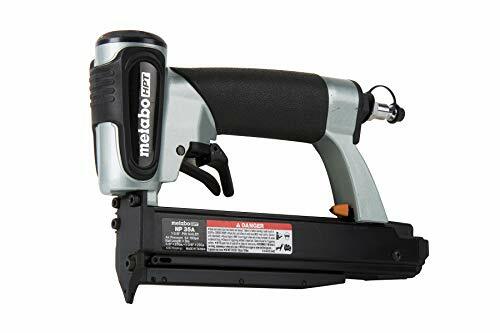 NAILED IT: This pneumatic pinner uses 23 gauge headless pin nails ranging from " to 1" & it features a lightweight & durable aluminum body, ergonomic grip handle, reversible belt hook & trigger with a safety mechanism that prevents accidental firing. Metabo HPT NP35A Micro pin nailer drives 23-gauge headless pin nails, which produce nearly invisible holes. Lightweight and compact, the NP35A May be used in a variety of applications including cabinets, paneling, small molding and trim, glazed bead, craft work and picture frame Assembly. The product is Pin Nailer Kit. Easy to use. The product is manufactured in China. 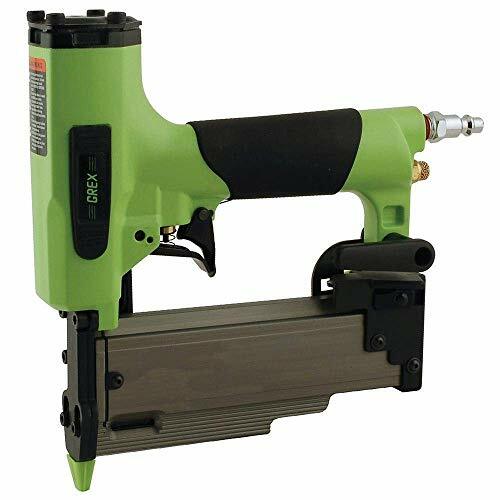 The Porter-Cable PIN100 1/2-Inch to 1-Inch 23-Gauge Pin Nailer takes care of all of your finishing projects, such as crown molding and other molding, and does it quickly and efficiently. It uses a dual trigger feature to fire the 23-gauge micro pin nails from the 170 pin bottom load magazine. This smart pin nailer even recognizes the length of the nail and automatically adjusts accordingly. The rubber comfort grip ensures hours of easy operation. SP123 Features: -Micro pinner. -Good balance. -Anti-dust cap. -Ergonomically designed comfort Grip. Type of Nailer: -Pinners. Type of Fastener: -Headless Pins. Fastener Gauge: -20+. Generic Dimensions: -9'' H x 7'' W x 2.25'' D. Dimensions: Overall Height - Top to Bottom: -9 Inches. Overall Width - Side to Side: -7 Inches. Overall Product Weight: -2.25 Pounds. When people hear Meite they often think of quality, long-lasting tools that will get the job done. The Meite 23GA Micro Pin Nailer P622C lives up to that expectation. Weighing only 1.67 pounds, the P622C delivers impressive durability with an aluminum body and magazine construction. The reversible belt clip allows the user to keep the tool by his or her side for when it is needed. This tool is ideal for cabinet makers, cabinet installers, furniture builders, and mantle builders. 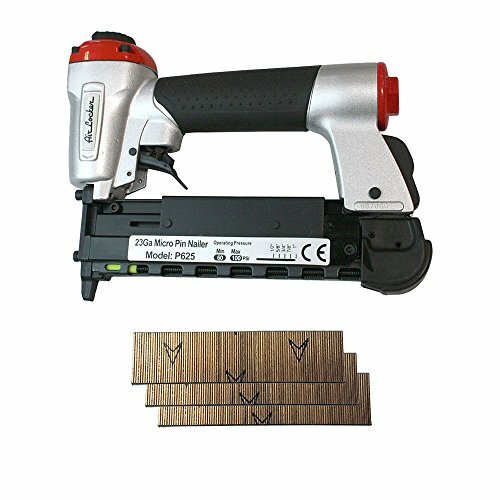 The P622C is appropriate for light fastening and clamping applications including, but not limited to, small trim and small decorative moldings, cabinet crown molding, raised panel doors, rope and bead molding, mantle building, and wood joining. Additionally, the nailer has the ability to fasten materials that would normally split when using larger tools, providing greater flexibility and time-savings on projects. This Stapler is a great choice! Includes oil, one adjustment wrenches. Fastener: meite 23-gauge headless and slight head pin nails from 3/8-Inch to 1-3/16-Inch length. Tool automatically adjusts for different fastener lengths for easier loading. Use in window doors, cabinets, interior decoration ect. 1. A narrow nose allows for fine, detailed work. 2. A no-mar tip protects your work surface. 3. A safety trigger prevents accidental firing. 4. A self-adjusting magazine makes pin changes easy. Ideal for detailed woodworking and finish work, the P635 gives you the flexibility and power you need to tackle a host of pinning jobs. Equipped with an industrial-strength motor, this pinner easily penetrates hardwoods such as oak and beech. 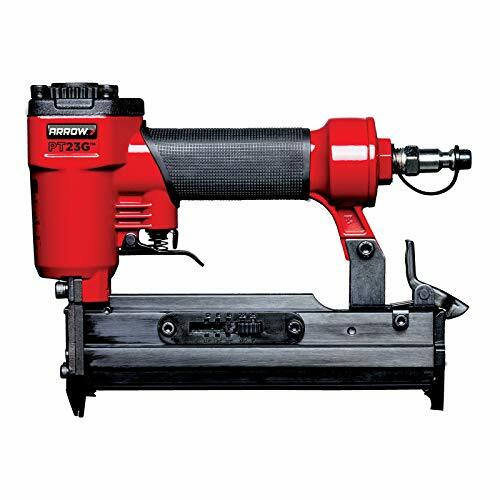 And even with its high-power performance, the P635 allows for fastening of delicate, thin, and small wood pieces without splitting--something that's simply not possible with larger fasteners. Grex P635 23-Gauge, 1-3/8-Inch-Length Headless Pinner, plastic carrying case, bottle of tool lubricant, set of hex keys, and owner's manual. 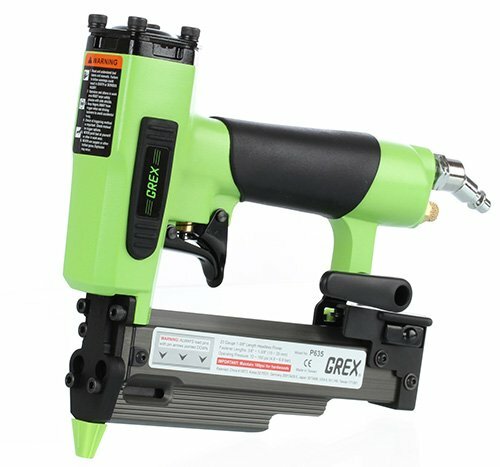 Grex continues to push the limit of its popular line of headless pinners with the 2 fastening capability from their new P650L. Now drive even longer fasteners with the same great features youd expect from a Grex Headless Pinner.Suggested Applications:Light wood assembly, Finish and trim work, Molding and decorative trim, Dowel and joint pinning, Mirror and picture frame assembly, Lightweight paneling, External softwood trim, Rattan furniture, Glazing strips, Craft work, Window beading, Display and sign work.- Compact, lightweight, slim profile design for maximum maneuverability- Powerful motor to drive fasteners through hardwoods- Patented design eliminates need to adjust for different fastener lengths- Drive fasteners up to 2, accepts 13 lengths from 1/2 to 2- Auto lock-out feature prevents dry-firing of tool.- Lock-out over-ride button allows last several pins to be driven- Double trigger safety lock prevents accidental firing of tool- Removable nose cover provides easy access to clear jams- Narrow nose design reaches corners and tight areas for detail work- No-mar rubber tip prevents marring of work surface- 4-point alignment guide accurately locates position to drive pins- Fastener indicator window shows when reloading is necessary- Convenient drop-in loading for quick and easy fastener re-loading- Convenient belt hook for easy carrying of tool- Rear exhaust with silencer reduces exhaust sounds- Rubber hand grip for a firm comfortable grip on tool Dimensions 7.75L x 8.75H WARNING: This product can expose you to chemicals which is [are] known to the State of California to cause cancer and birth defects or other reproductive harm. For more information go to www.P65Warnings.ca.gov. 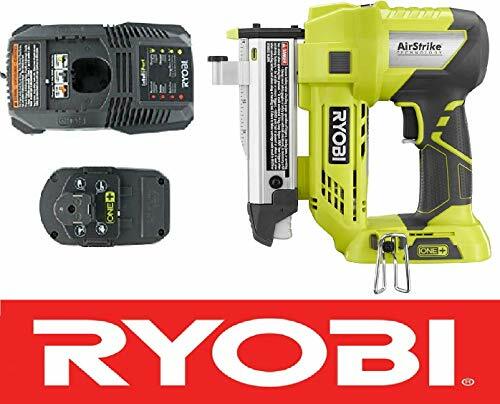 RYOBI introduces the 18-Volt ONE+ Cordless AirStrike 23-Gauge 1-3/8 in. 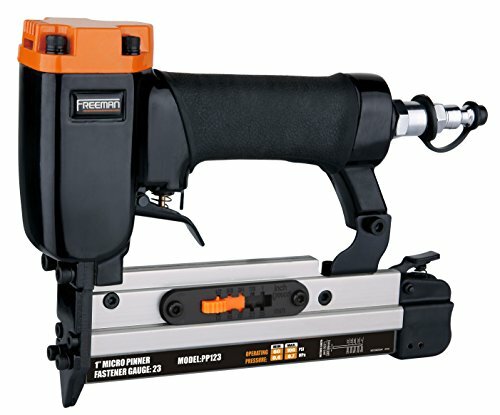 Headless Pin Nailer. 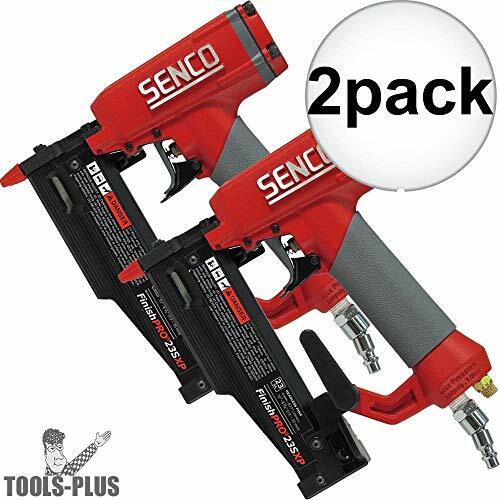 This headless pin nailer drives 1/2 in. to 1-3/8 in. pins. he dry-fire lockout protects your pin nailer and extends its life. The double-action trigger design allows for convenient, sequential driving and the 2-included non-marring pads keep the work surface free of tool marks. The LED light optimizes vision throughout the job and GRIPZONE over-mold adds comfort. This set may be bulk packaged, and arrive in a generic box for shipping purposes. 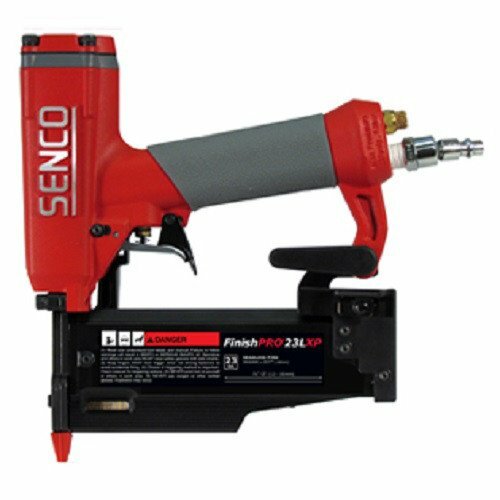 The grex p650l 23-gauge 2-inch length headless pinner features grex's patented self-adjusting magazine design that accommodates fasteners from 3/8-inch up to 2-inch, a total of 12 different lengths. An added feature is the built in lock-out mechanism that prevents dry firing of the tool when only several pins are remaining, ensuring a pin is driven every time. If necessary, a manual over-ride button of the lock-out mechanism allows the last few pins remaining in the magazine to be driven. Equipped with an extended narrow nose to access corners and tight areas with precision, this lightweight pinner is designed ideally for intricate finishing and trim work that allows secure fastening of the smallest decorative trim with a nearly invisible hole No splitting or puttying. This set is Bundled with the grex edge guide. Allowing you to work up to 2x faster and with more precision. It allows you to drive nails at a consistent distance from a referenced edge. Easy to adjust and operate. 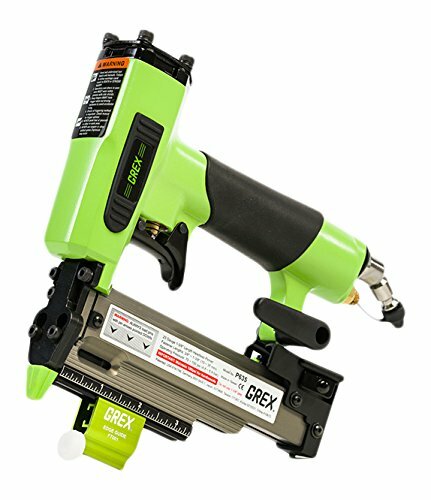 Leaving only the tiniest of entry holes, the Grex's industrial strength 23 gauge headless pinner is ideally suited for finishing work and detailed woodworking and is perfect for light wood assembly, molding and decorative trim, dowel and joint pinning, mirror and picture frame assembly. 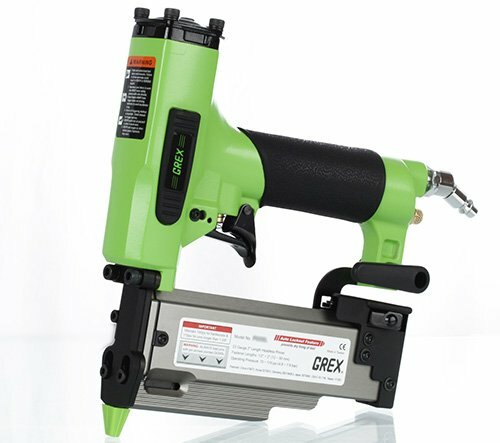 The Grex headless pinner utilizes an innovative and patented magazine that eliminates the need to adjust for different fastener lengths. The powerful motor will drive fasteners with ease, even into the hardest of hardwoods. The compact, lightweight, slim profile is designed for maximum maneuverability and the rear exhaust with built-in silencer makes the Grex headless pinner truly the "Best in Class". P650 - 23 Gauge Specifications: Dimensions: 7.75"L x 8.75"H x 1.75"W (20cm x 22cm x 4.5cm).Weight: 2.68 lbs. (1.2 kgs). Operating Pressure: 60 ~ 100 psi (4 ~ 7 bars) Fastener Type: 23 Gauge headless pins. Fastener Range: 3/8" - 2" (12mm - 50mm). Fastener Capacity: 1 strip (approx. 100 pins). Air Inlet: 1/4" (6mm) NPT male plug. 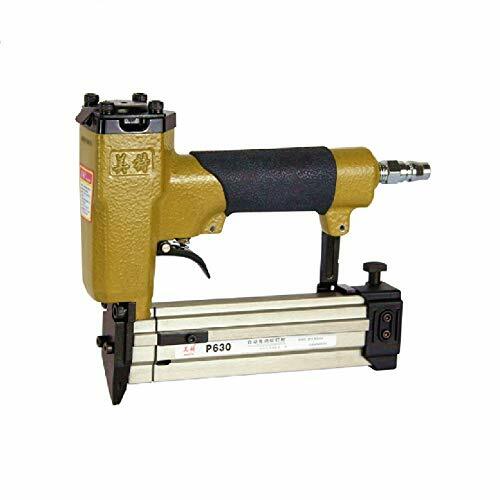 The grex P635 23-gauge 1-3/8-inch length headless pinner is the only industrial strength pinner Offering a patented self-adjusting magazine that accommodates fasteners from 3/8-inch up to 1-3/8-inch, a total of nine different lengths. Equipped with an extended narrow nose to access corners and tight areas with precision, this lightweight pinner is designed ideally for intricate finishing and trim work that allows secure fastening of the smallest decorative trim with a nearly invisible hole - No splitting or puttying. It has been hailed as "the Lexus of Pinners" by wood magazine and 2005 "best new tool" in popular woodworking. Along with its additional convenient features, this tool is truly "the only pinner worth having." this set is Bundled with the grex edge guide. Allowing you to work up to 2x faster and with more precision. It allows you to drive nails at a consistent distance from a referenced edge. Easy to adjust and operate.